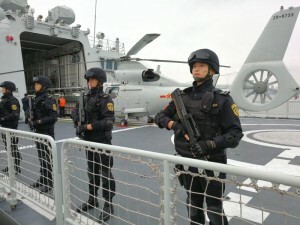 Amid increasing tensions with Beijing, the Pentagon on Tuesday released a new report that lays out US concerns about China’s growing military might, underscoring worries about a possible attack against Taiwan. Its release comes just a week after Chinese President Xi Jinping called on his People’s Liberation Army to better prepare for combat. China has warned the US against further upgrading military ties with Taiwan and has threatened to use force against the island to assert its claim of sovereignty. Under President Donald Trump, the US has taken incremental moves to bolster ties with the island, including renewed arms sales and upgraded contacts between officials. US-China tensions have become increasingly frayed on the military and economic fronts over the past year. Trump imposed tariff increases of up to 25 percent on $250 billion of Chinese imports over complaints Beijing steals or pressures companies to hand over technology. Xi responded by imposing penalties on $110 billion of American goods. And last year the Pentagon disinvited China to a major, multinational Pacific exercise, citing Beijing’s militarisation of man-made islands in the South China Sea. The ongoing rise of China, in fact, has triggered greater US military attention on the Indo-Pacific region over the last several years. And last year’s release of the US National Defense Strategy emphasized the importance of great power competition with Russia and China. And it asserted that China’s rapidly expanding military and Russia’s increasing aggression are threatening America’s military advantage around the world. The DIA report talks broadly about the steps China is taking to modernise its military and expand its operations around the globe. The worry, said the defense intelligence official, is that China will reach the point where leaders will decide that using military force for a regional conflict such as Taiwan is more imminent. Cyberthreats from China have long been a major US concern, stretching from massive data breaches and theft of trade secrets to Beijing’s campaign to improve its ability to conduct cyberattacks. The US official said China has been working very hard on developing ways to combine cyberattack capabilities with other kinetic weapons that can be used in combat.